Visit Your Dentist in Arlington Heights Today! Your toothbrush and floss are important for keeping your teeth and gums healthy, but your oral hygiene habits are only half of the care you need. It is also best to see your dentist at least twice a year for a cleaning and checkup. Your dental insurance makes it easy to maintain your regular appointments for little to no out-of-pocket cost. Dental insurance is designed with prevention in mind. Routine appointments allow your dentist to prevent common issues from developing, like tooth decay and gum disease. Keeping your teeth and gums healthy reduces your long-term dental costs. In fact, every $1 you spend on prevention could save you $8 to $50 on emergency or restorative services. In addition to preventive care, you are also given a yearly allowance to use toward restorative treatments. After paying your annual deductible, you can enjoy decreased rates for common treatments that are needed to rehabilitate your oral health. Depending on your specific policy, your insurance carrier may cover as much as 80% of these expenses. In some cases, you can even use your insurance to visit your cosmetic dentist in Arlington Heights. If a specific cosmetic treatment also improves the health of your teeth, your benefits may cover a portion of the cost. To make the most of your coverage, it is recommended you visit an in-network dentist because they have pre-negotiated rates with your insurance carrier. Your dentist works on your behalf with the insurance company to lower the amount you need to pay. 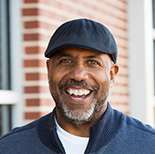 You still have the freedom to choose a dentist who is not in your network; however, you will need to pay the difference between the dentist’s fees and your insurance’s allowable coverage. At the end of the year, your policy expires. Any unused benefits do not carry over for accumulation into the new year. In addition, you are not reimbursed for your premiums or your deductible. If you do not use your remaining coverage now, you will waste thousands of dollars that could have been spent on your oral health. While the next few weeks may be busy, make the time to visit your dentist before your benefits expire. You can get a healthy smile for affordable rates. If you need a general or emergency dentist in Arlington Heights, Costello Dental Excellence is the place for you. 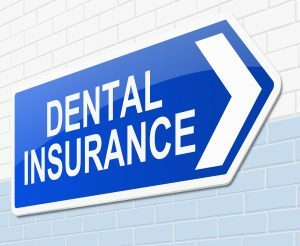 We work with various dental insurances to provide you with the care you need for discounted rates. If you have remaining benefits, do not wait. Contact our office today to schedule an appointment.